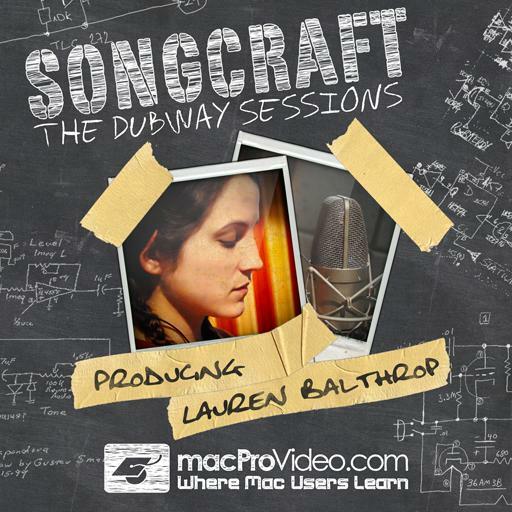 Dubway services television, film, video and interactive gaming, as well as such artists as White Stripes, Dave Matthews Band, Cat Power, Fiona Apple, Philip Glass, and Beck, to name a few. Having recently moved from its longtime home in Chelsea, Dubway's new penthouse studios in New York’ s financial district are more spacious and better equipped than ever. Singer-songwriter Ben Arthur has released six albums and two novels, and has performed everywhere from the 12-Bar Club to Lincoln Center, sharing the stage with Dave Matthews Band, Bruce Hornsby, Tori Amos, Toots and the Maytals, and many others. Ben's work has been praised by Rolling Stone, NPR, CMJ, Acoustic Café, and BBC Radio, and his songs have been licensed by CBS, ABC, Showtime, and PBS. Al Houghton has recorded thousands of artists, ranging from They Might Be Giants to Enrique Iglesias. A mechanical engineering graduate of Brown University, he heeded the call of the wild to forsake that career for a life in Rock and Roll. This left him washing dishes and living in his rathole rehearsal room, recording the denizens of the NYC art underground. Thus was Dubway Studios founded in the early ‘80s. Over the decades since, he has produced recordings for countless artists and scored movies. He currently performs with New York’s long standing alt rockers, Life In A Blender. Mike Crehore has recorded, mixed, and mastered many artists over the decades, as well as playing and performing with many more. From Vernon Reid to Evan Lurie, including jazz, hard rock and singer songwriters of every style. A graduate of Lehigh University with a degree in Management and Finance, Mike has always traveled his own road, having worked in many fields including driving a tractor trailer, working every station of a restaurant, as an Outward Bound instructor, corporate consultant as well as a stay-at-home dad and designer/builder. The newest Dubway was built and designed almost entirely by Mike. He currently writes, records, produces and performs with Ben Arthur, Ruby & The Snakes and his own band, The Balboans. Indie band, Turin Brakes, showed up at our SxSW studios in Austin to subject themselves to our patented, “song-in-a-day” stress test! 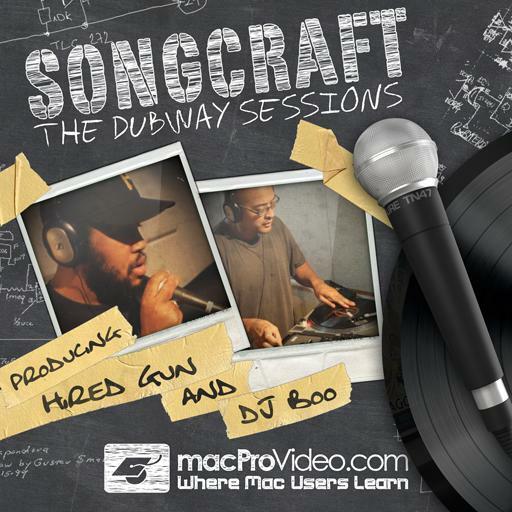 See how this awesome band and “Team Dubway” capture the musical magic in this marathon songwriting and production course! Another song and only one day to professionally produce it! Possible? Absolutely! 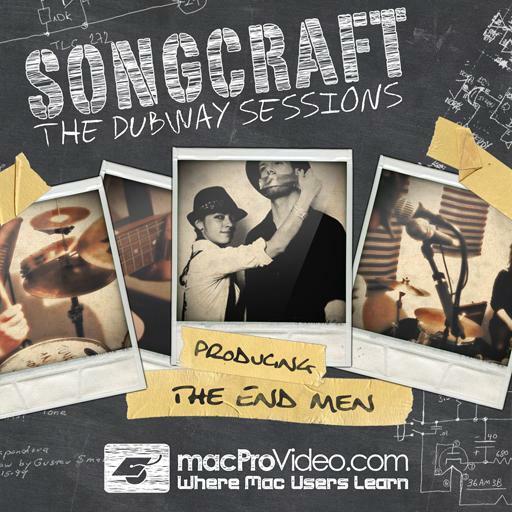 The pros at Dubway Studios do it again recording the rock duo, The End Men, in this new episode in our Docutorial™ series we call SongCraft! One song and only one day to professionally produce it! Can it be done? 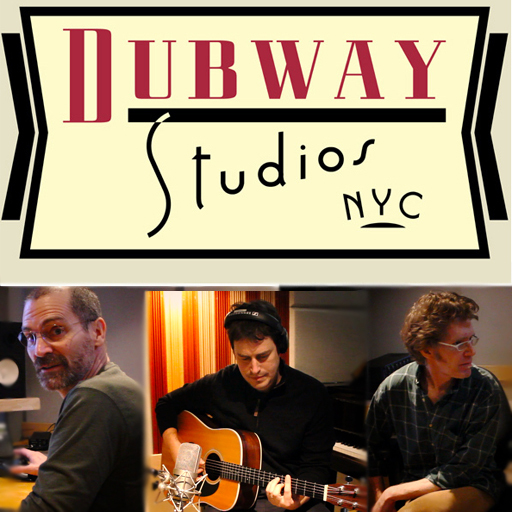 Find out as the pros at Dubway Studios in New York City take you on a recording and mixing adventure in this first edition of our new Docutorial™ series we call SongCraft! 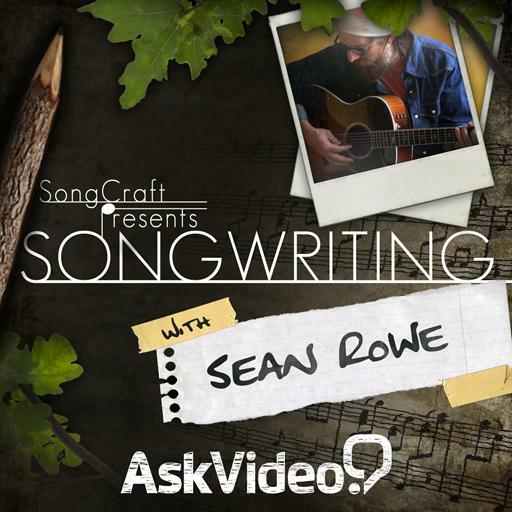 This course focuses much more closely on the process of songwriting than the other course in the series I've seen (Songwriting with with Sean Rowe). 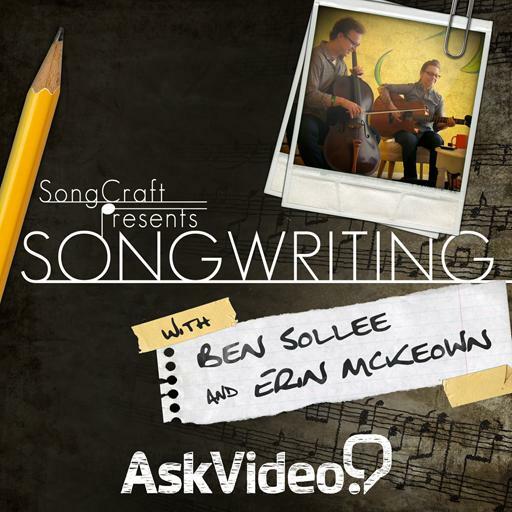 It is quite an unusual songwriting process: 3 writers creating a song in 3 hours. But it is still relevant to more standard situations, just in a rather condensed way: initial ideas, discussion, elaboration, discarding, arranging. I think it could be helpful to songwriters in getting their own process moving. And the song these three produce is not bad at all. 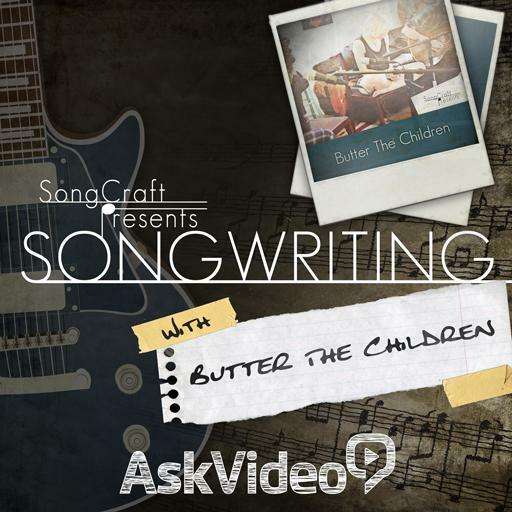 Interesting course, for sure, but the content that actually addressed the supposed subject of songwriting was limited and haphazard. Certainly worth an hour or so of your time if you want to write songs, but a high proportion of the time was actually taken up with discussion of issues concerning recording, mixing and so on. So I'd say four out of five for interest but two out of five for subject relevance. 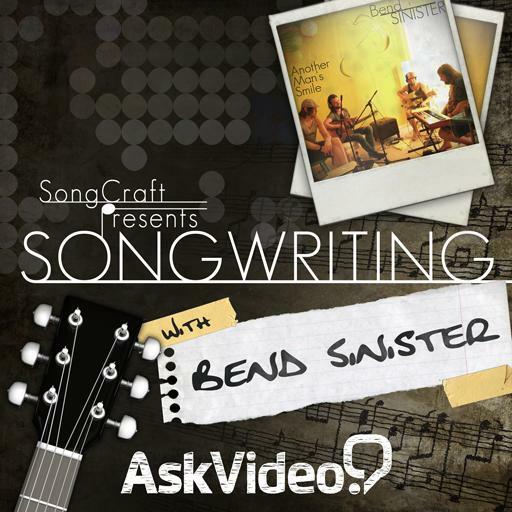 This course is equally about songwriting as it is about recording and mixing. In it we get to see how these people like to do the above and why. Nice course, with some interesting point of view, many good tips and suggestions. 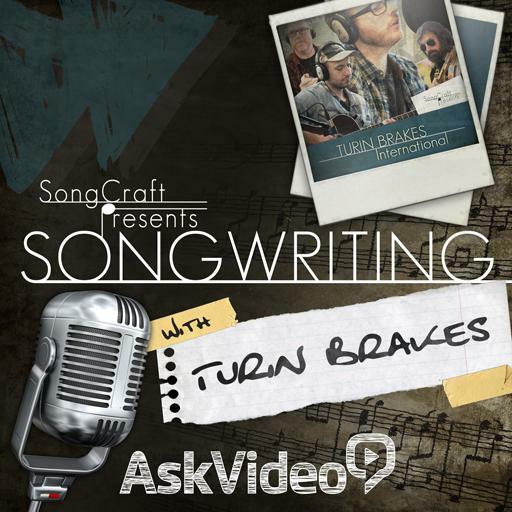 very useful for students that want starting with songwriting. Simple, to the point, entertaining, and a great real-life example of how to set up a recording of a song, perform digital editing techniques, and pull the mix together. Highly recommended! Most of us started in a band a while back. Technology was not so developed. It was nice to watch. It´s not easy being and working in a band. Is was very pleasant to watch this. Very talented and working people. Congratulations to everyone involved. Great Project, very informative! I really enjoyed this, and it was interesting to see your workflow. The only thing I would have liked to see was more specifics and explanations on your recording setup and mixing, specifically, what mic pres, what hardware on the front end, what compressor and eq on vocals, what processing did you do on bass. You guys do good work, and the track sounded WAY better than I thought it was going to! I always like to see how a song is born from scratch and follows all the steps until the final product. This what this course is giving and why I liked it.